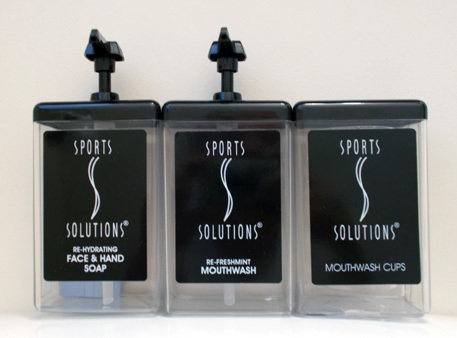 The service experience and quality of the product actually says more about the club; as million dollar locker rooms shouldn’t have dollar store amenities. 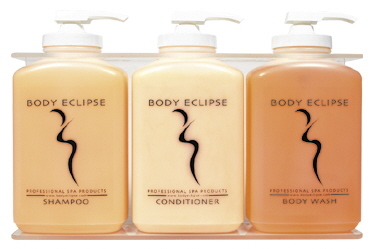 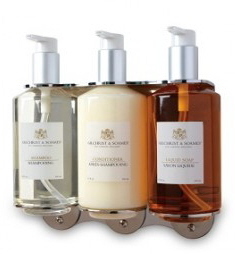 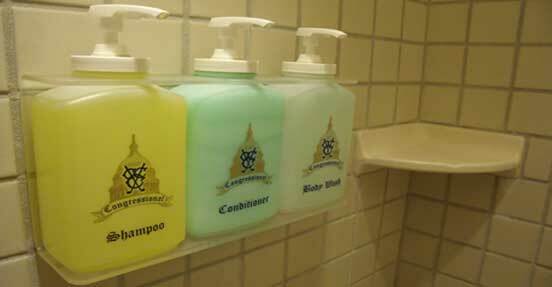 Body wash, shampoo and conditioner. 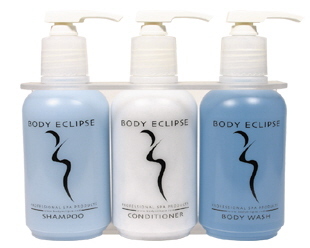 A fourth bottle contains shaving cream for men who shave in the shower and for women when shaving their legs. 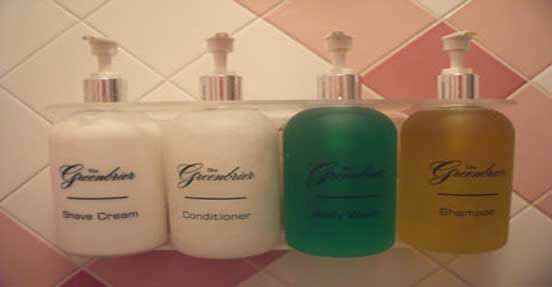 Also available in 5 or 6 units by special order. 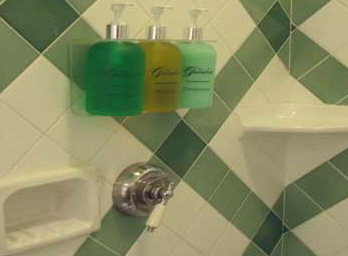 Another use is to mount on wall above and in between bathroom sinks for handsoap, lotion, sunscreen, mouthwash, shaving cream, after shave balm and/or hair gel. 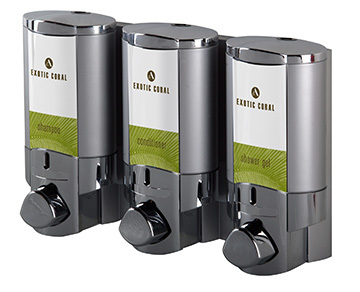 24 ounce capacity in a variety of colors. 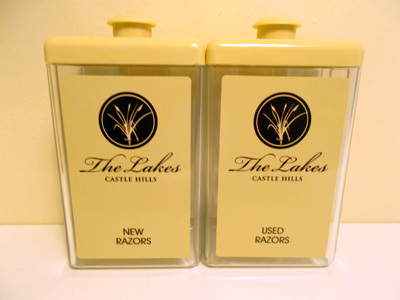 Safe keeping of razors in the showers. 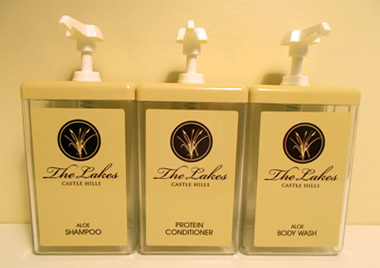 Attaches directly to the mirror or wall.